US-based AliveCor has obtained the US Food and Drug Administration (FDA) approval to sell its AliveCor heart monitor without prescription, previously available by prescription only. It is claimed to be the only FDA cleared mobile ECG recorder that easily attaches to any supported iOS or Android device. It records, displays, stores, and transfers single-channel ECG rhythms wirelessly, using the free AliveECG app. According to the company, the single-channel ECG (electrocardiogram) recorder is now available for pre-order purchase with shipments beginning in March 2014. The AliveCor heart monitor provides people with suspected or diagnosed heart conditions, and those at risk of heart conditions, the ability to track their heart health anytime, anywhere, at an affordable cost. The AliveCor heart monitor sends readings to user’s physician, or sent to a US board-certified cardiologist or a US based cardiac technician through company’s AliveInsights analysis service that offers expert review of ECGs directly through the free AliveECG app. 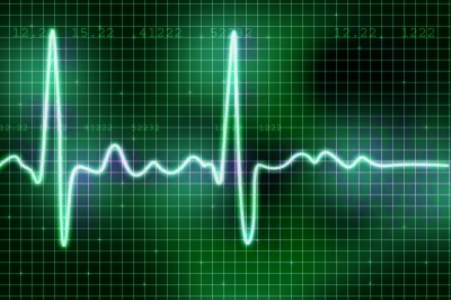 Recordings are then reviewed and analyzed providing users with a more complete picture of their current heart health. With secure storage in the cloud, users can access their data confidentially anytime, anywhere, and can grant access to their physician, the company reported. AliveCor president and CEO Euan Thomson said over-the-counter access to mobile health devices has the potential to change the way consumers manage their overall health, facilitate preventative medical care and save both patients and healthcare professionals time. "We are pleased to now provide easier access to our innovative Heart Monitor and with the help of healthcare professionals provide timely analysis of data to all users," Thomson added.